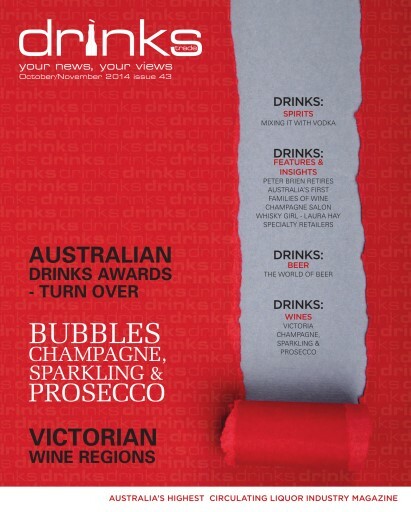 drinks trade Special Edition: The top drinks industry news from Australia and abroad for October and November; an insight into Australia's First Families of Wine; interview with the whisky girl - Laura Hay; our reviews of Australia's specialist liquor retailers; inside the ALSA Conference; the latest image sourcing site - drinks library - we speak to founder Daniel Roberts about its benefits; as well as features - The World of Beer; Premium Mixers; Mixing it with Vodka; and our leading experts and judges bring you the latest on Champagne, Prosecco and Sparkling and the winning wines from our recent tasting of these categories. 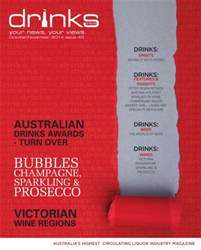 PLUS: This year's Australian drinks Award winners announced. Turn to the back of the issue to watch this year's highlights and to find out who the awardees are.